Former El Paso Republican state Rep. Pat Haggerty's mom is apparently not one to forgive and forget. 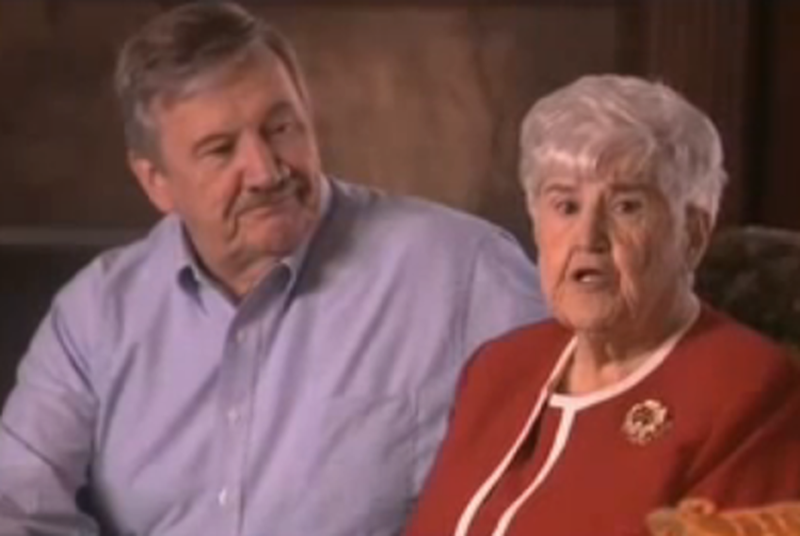 Pat and Eleanor Haggerty from 2008 GOP primary campaign. Former El Paso Republican state Rep. Pat Haggerty's mom is apparently not one to forgive and forget. In a strongly worded rebuke of GOP House District 78 candidate Dee Margo, an El Paso businessman, Eleanor Haggerty today endorsed the Democratic incumbent state Rep. Joe Moody. "Margo's slanderous and negative campaign against Pat in the 2008 Republican primary was disgraceful," Eleanor Haggerty wrote. "As a mother it hurt me deeply." But that nasty campaign isn't the only reason the lifelong Republican says she's supporting a Democrat. "My support of Joe comes from his accomplishments last year, his potential to do even more, and his willingness to work with either political party to get the job done," she wrote. It's not the first time Eleanor Haggerty has gotten involved in the fight over the HD-78 seat. When Haggerty and Margo were slugging it out on television in 2008, she made a commercial with her son in which she proclaimed that she had a carton of milk that had lived in the district longer than Margo. Check out that classic video here. And here's a copy of today's endorsement letter.